Given that Valentine’s Day is a week away, there’s plenty of fantastic chocolate options from great artisan chocolate makers. Some go whimsical and adorable to he glam decoration but flavor is and always key for these brands. There is one tea brand that has a Valentine’s Day theme if you or your Valentine want to limit your chocolate intake. John & Kira’s Chocolate is our dependable brand for delicious chocolates that are whimsical and some almost too cute to eat. We always adore the high quality chocolates and always swoon over their chocolate dipped and chocolate filled figs. 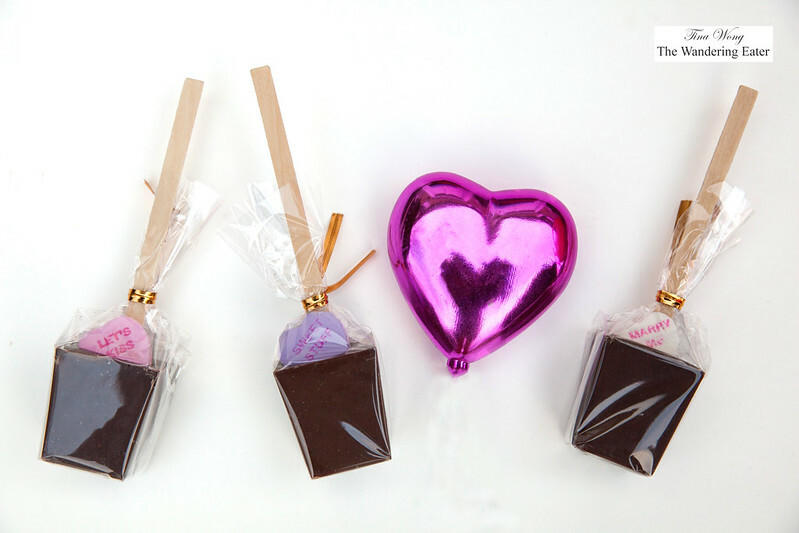 This year’s newest collection for Valentine’s Day collections is the Sweethearts. 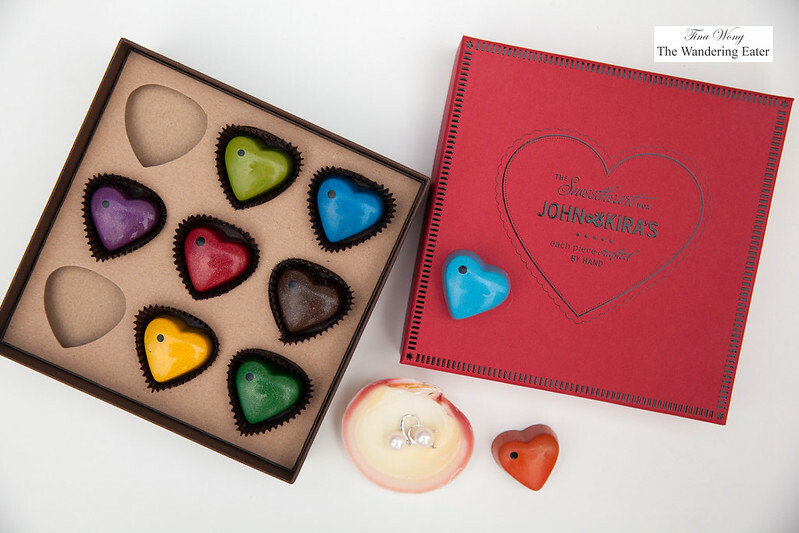 It’s a delicious nine-piece, color coded assortment of chocolates that has a range of flavors from fruity (strawberries and cream or lime ganache) to nutty (crispy almond & hazelnut praline). 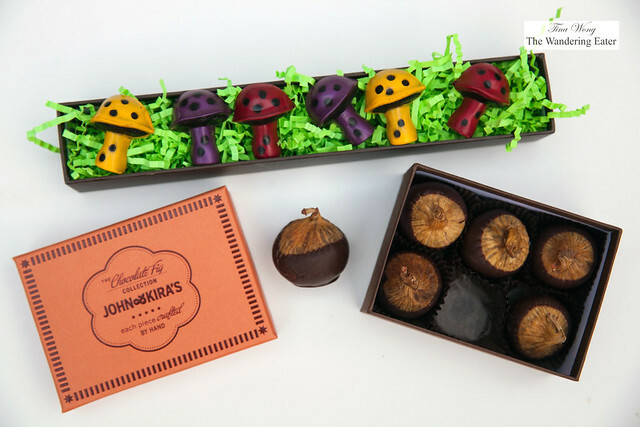 If you don’t want a box that’s overtly Valentine’s related but nods to the spring season, there’s the delightful caramel filled Magical Mushrooms. 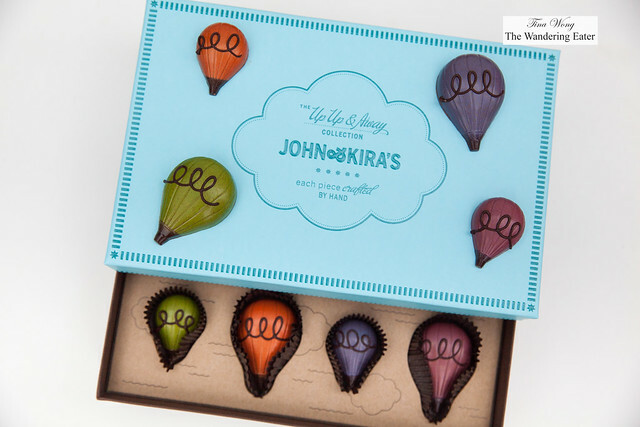 Playful box of Up, Up & Away hot air balloon shaped that are painted and filled with ganaches, pralines, and caramels with flavors based on each port of call. 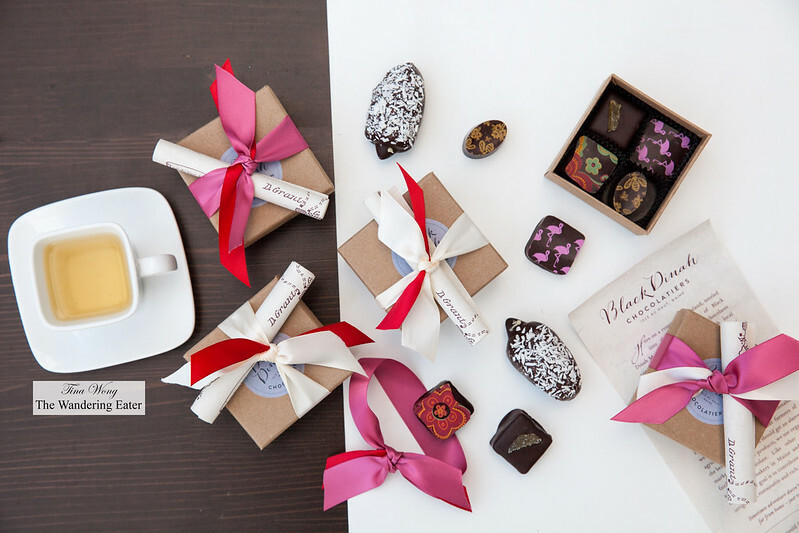 Black Dinah Chocolatiers‘ are based in Maine and these pretty chocolates are wonderful and have balanced flavors. 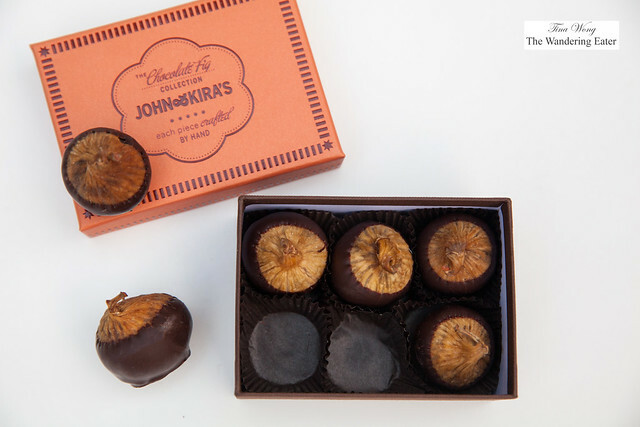 The charming Hedgehogs, organic Medjool date confections stuffed with with almonds, coated in chocolate and coconut were tasty and vegan friendly. 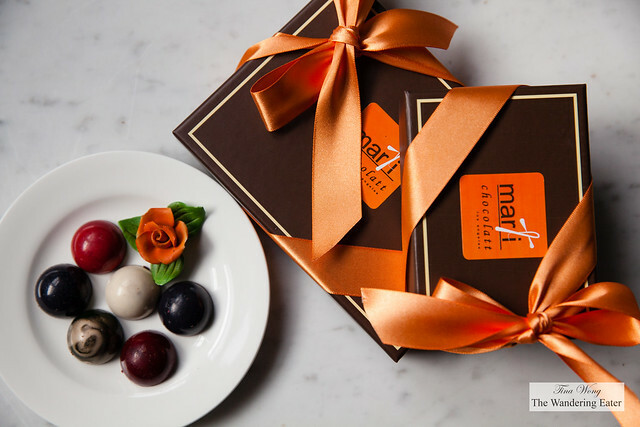 The V-Bandit Set is a set of six 4-piece dark chocolate truffle collections that are great “secret” gifts to people you care or love. 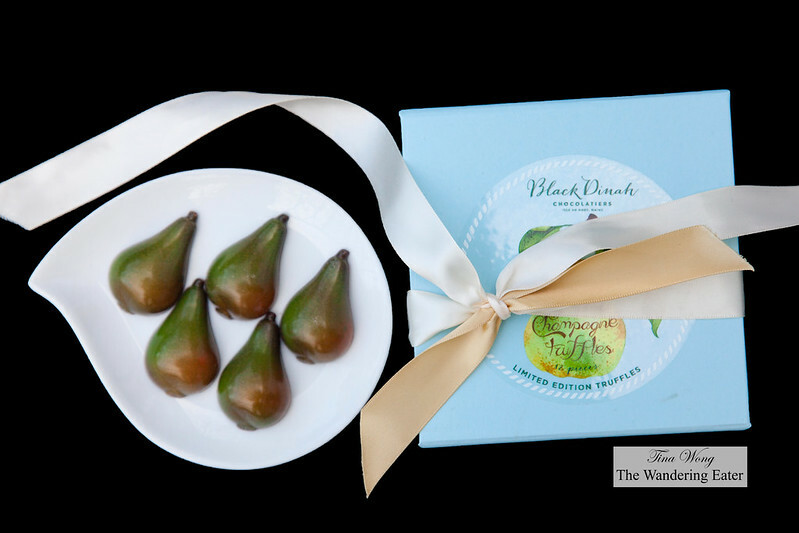 The Pear & Champagne Truffles are gorgeous pear-shaped jewels that tastes wonderful as well. The delicate, sweet pear flavors melds nicely with the Champagne. 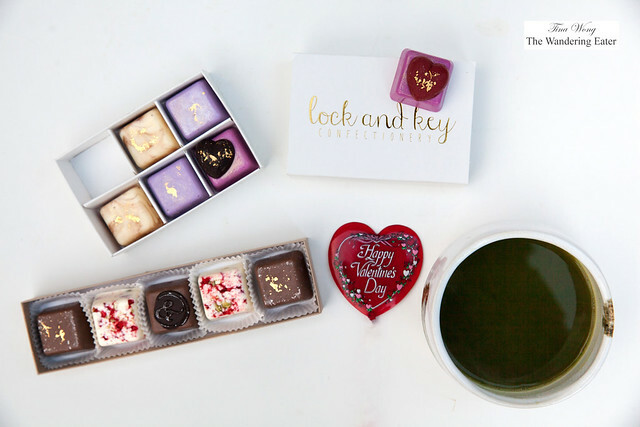 Lock & Key Confectionery is based in Delaware and they create glamorous, edible gold flecked chocolates that are suitable for the fashionable person in your life (and it tastes good, too.) 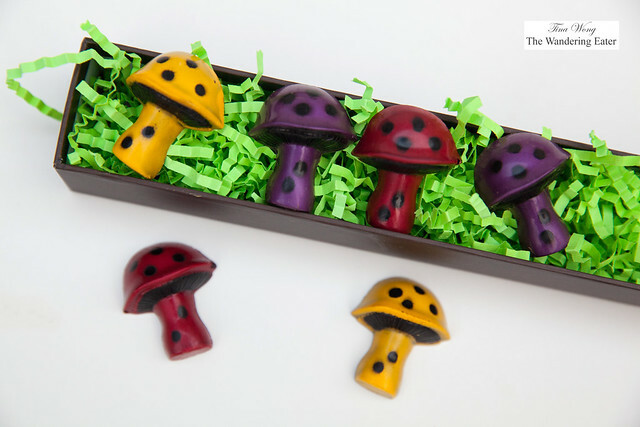 The flavors are unique ranging from lavender, elderberry, English toffee, and of course, the traditional dark chocolate. 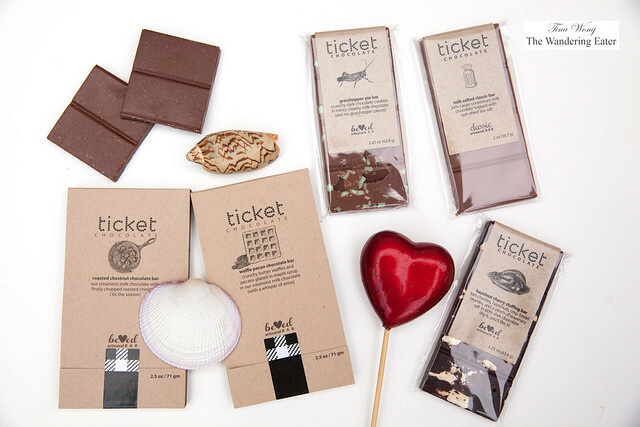 Ticket Chocolate is a playful chocolate brand that has chocolate-on-a-stick topped with the nostalgic heart candy with a message. You could swirl a block of rich couverture chocolate into steaming, frothy milk and watch the ingredients become combined into one creamy confection or can eat it straight up like a lollipop. Their flavored chocolate bars are unique and have fresh take on the nostalgic flavors like the roast chestnut bar, waffle pecan chocolate and grasshopper pie bars. 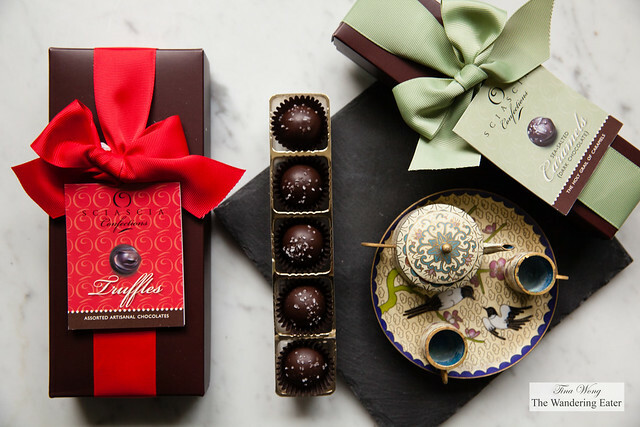 Sciascia Confections are based out in New Jersey and produce beautiful artisanal truffles that uses locally sourced ingredients, fresh cream infusions, and heirloom varietal chocolate from 100% farmer-owned cacao. The flavors of each truffle are distinctive and complex enough that it would please the palate of the lucky receiver of the chocolate box. Marti Chocolatt is owned and run by chocolatier Tonet Tibay who’s been classically trained with famed French chocolatiers and in culinary school but her flavors reflect her Filipino American roots. These truffles are unique as some truffles flavors are pandan and coconut, jasmine, or praline coriander. They are incredibly delicious. 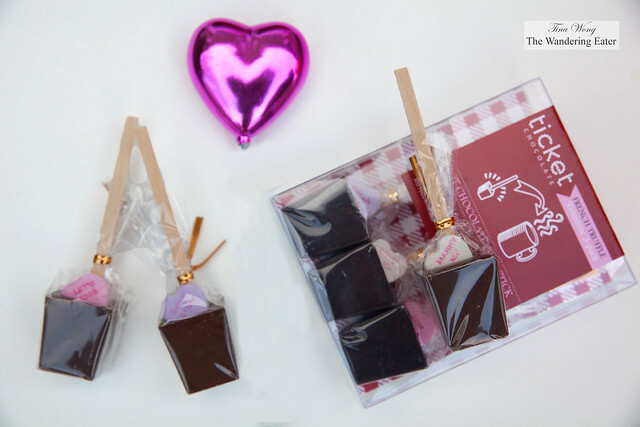 For those who want to have a Valentine’s Day gift that doesn’t involve with chocolate or lots of sugar, the best alternative is Palais des Thés wonderful set of Valentine’s Day teas. The Paris for Him tea is flavored black tea that is intense and subtle, like a Parisian man; with elegant notes of citrus, coriander and vanilla. 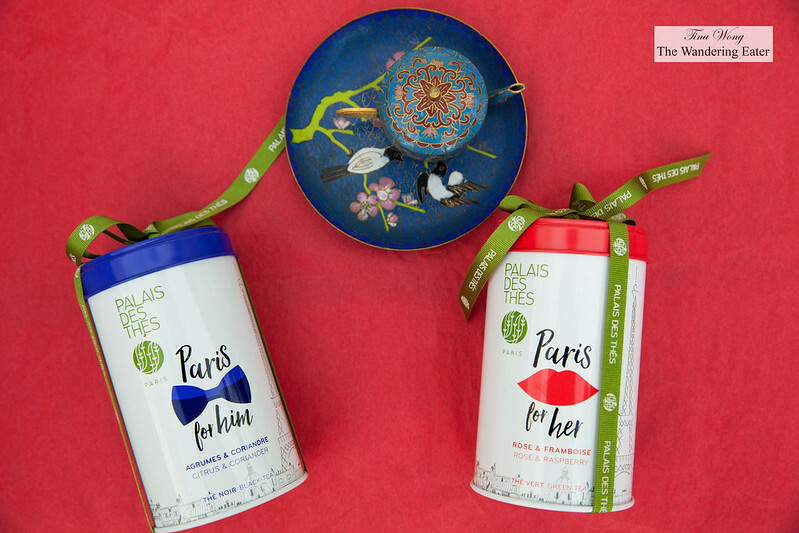 The Paris for Her tea is a flavored green tea that is delicate and refined, like a Parisian woman. It has harmonious notes of rose, raspberry and lychee and it’s a delicious floral blend.